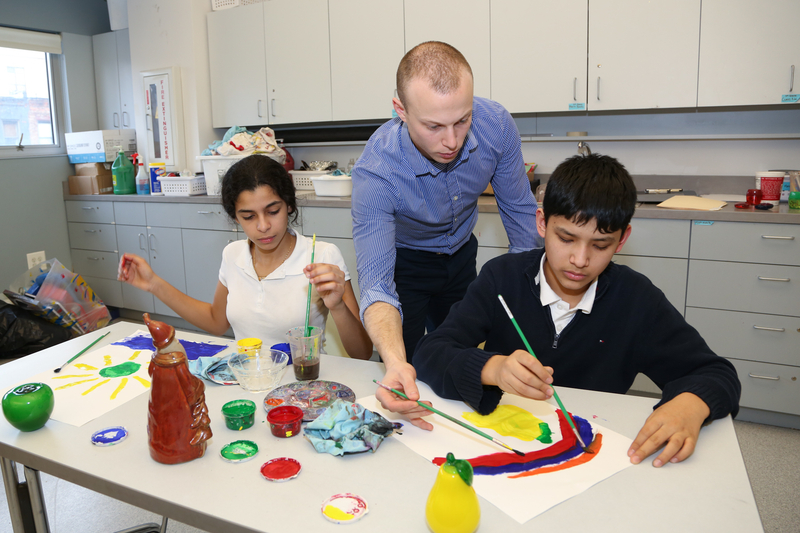 The Visual Art curriculum is designed to have students see the world as it is – the play of light against shadow, the spectrums of color and shape - and then with the formal techniques of drawing – to render them on paper. 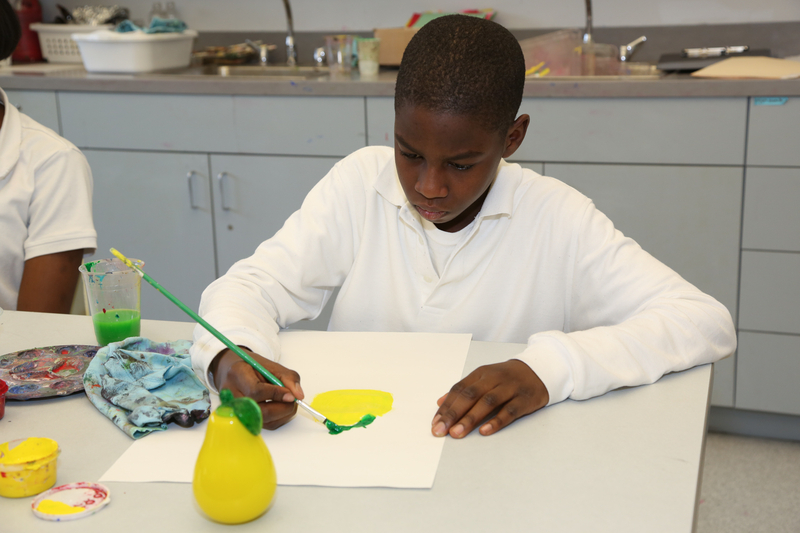 These skills are taught through projects that allow students to participate and learn regardless of their innate abilities, and the curriculum spirals through a diversity of projects, including art museum filed trips, that allow students to develop their skills while being exposed to various composition structures, media and the development of a working visual arts vocabulary. Our drama program is designed to develop student awareness and control of what they think, say, and do in order to develop the skills of compassionate and effective engagement with others - including one's audience. From engagement in the dramatic process, students learn to truly see and hear others, while they gain mindful ways to be seen and heard.